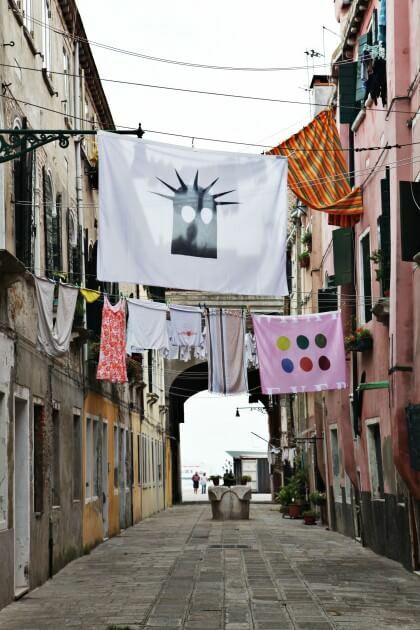 A project by Istituto Svizzero di Roma and Swiss Institute, New York, in the byways of Venice. 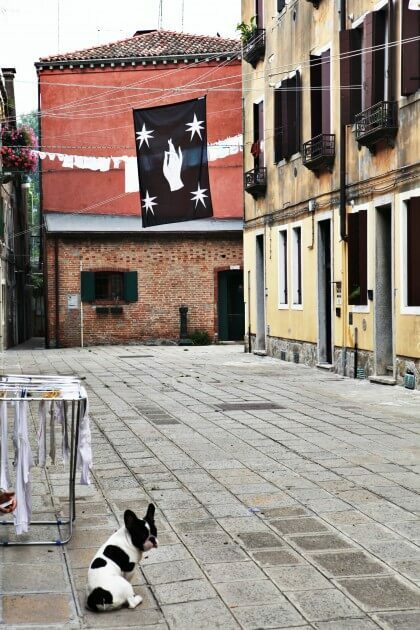 The site-specific project utilizes the Biennale’s conflicted celebration of unity and nationalism to shift the use of a flag away from a symbol of national or institutional identity and gear it towards a new representation of fictional groups, peoples, or communities. 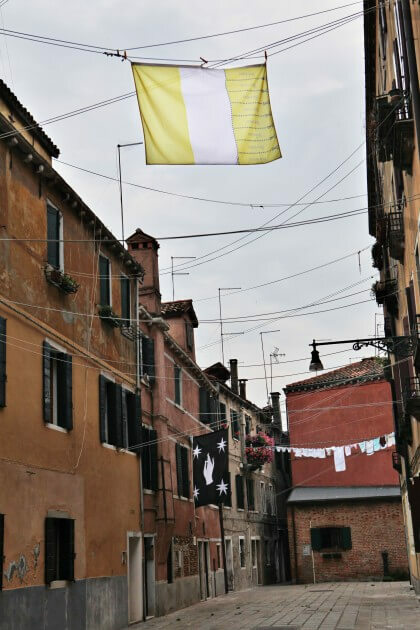 Twelve international artists have been invited to design a flag that represents a new group–real or imagined. 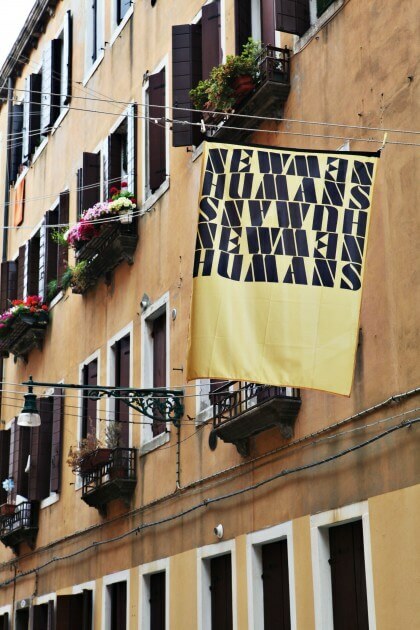 The resulting flags delete the physical and mental boundaries belonging to real communities and invent new typologies for individuals as a collective body. 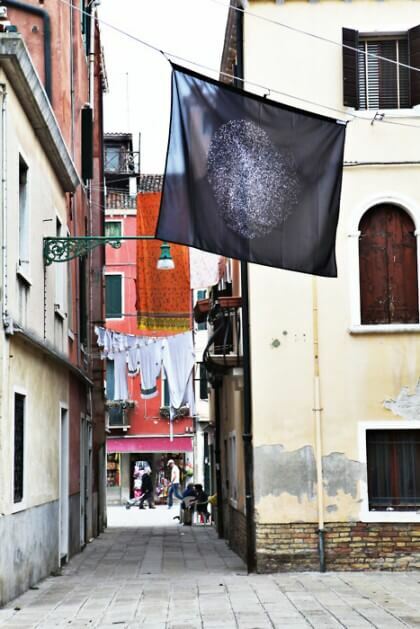 The project will be installed in the byway between the Giardini and the Arsenale, the two main venues of the Venice Biennale– a key place to be visited by thousands of professionals and public visitors during the Biennale’s opening days. There will be no map that indicates the exact locations; flags will, therefore, be encountered by chance. 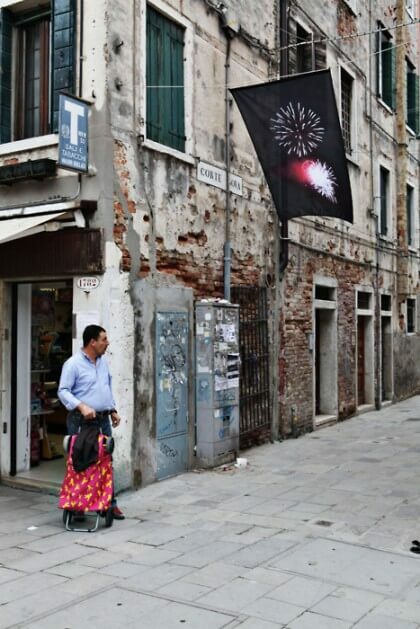 Image: Gerwald Rockenschaub, What Do You See?, 2011; Danh Voh, The Silk Flag, 2011; and Lorenzo Scotto di Luzio, Immigrants’ Flag, 2011. All photos by Ela Bialkowska.